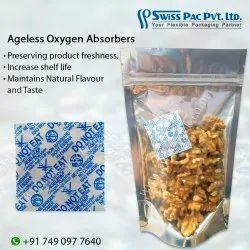 Our range of products include oxygen absorber for freeze dried food products, oxygen absorber for dry fruits, oxygen absorber for food products, oxygen absorber for cashew, oxygen absorber for pistachio and oxygen absorber for food packaging. Oxygen absorbers are used to Prevent Insect Growth in Freeze dried food, Get Longer shelf life of Freeeze Dried food with our Oxygen absorbers. No need Nitrogen Flushing / vacuuming when you use our Oxygen absorbers. Oxygen absorbers are used to Prevent Insect Growth in Walnuts and Increase Shelf life up to 3 times. 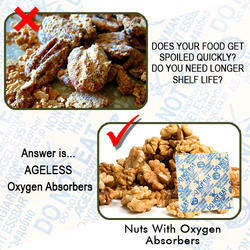 Maintain Freshness of Walnuts with Oxygen absorbers. Oxygen absorbers are used to Prevent Insect Growth in Pista packaging. Increase Shelf life up to 3 times. Maintain Fresh Taste and Flavour of Pista with Oxygen absorbers. 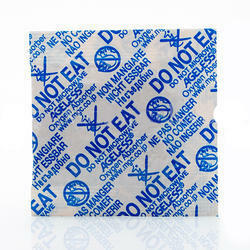 Oxygen absorbers are used to Prevent Fungus &Insect Growth in your Jerky food. Increase Shelf life of your Jerky products up to 3 times with our Japanese Grade Oxygen absorbers. Oxygen absorbers are used to Prevent Fungus & Insect Growth in your Pet food food. Increase Shelf life of your Pet-food products up to 3 times with our Japanese Grade Oxygen absorbers. Oxygen absorbers are used to Maintain Freshness and Roasted flavour in your Coffee packing. · No need Nitrogen Flushing / vacuuming when you use our Oxygen absorbers. Oxygen absorbers are used to Prevent Fungus & Insect Growth in your Peanuts/ Groundnut food. Stops Rancidity. Maintains taste, flavour and Colour of Peanuts/ Groundnut with our Oxygen absorbers. Increase Shelf life of your Peanuts/ Groundnutproducts up to 3 times with our Japanese Grade Oxygen absorbers. 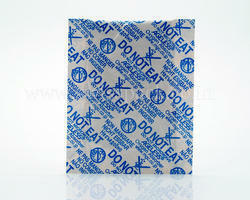 Bags and Pouches Singapore now offers a product to safe guard for your food products against the Mold and Fungus. Oxy-Mist Oxygen Absorbers packs helps the storage of foods for longer duration by absorbing the oxygen. Now you can get 3 to 5 x times better shelf life with Oxy-Mist Oxygen scavenger packs, when used with proper packaging and sealing. 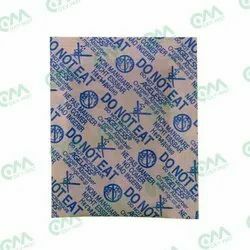 Oxy-Mist oxygen absorber packs are safe to use, non-toxic and keeps the food fresh, it is strongly recommended not to eat them. 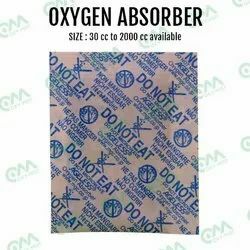 Oxygen absorbers are also known as Oxygen scavengers or Oxygen adsorbent. Our Food saver Oxygen absorbers are formulated to prolong the shelf life of food, prevent the color change in food products, stop mold growth, stop foods from becoming rancid, and prevent the growth of aerobic microorganisms such as fungi. Oxy-Mist Oxygen absorber packs can absorb the available Oxygen content in the airtight container till 0.01%.Dehydrated foods are susceptible to insect contamination and moisture reabsorption. So they must be packed and stored properly. We are one of the leading supplier of Oxygen absorbers packs. To use oxygen adsorbents sachets in products with relatively higher oil content we have Specially made Anti-Oil Paper for our oxygen absorbers sachets.Free Samples of Foodsaver oxygen absorbers for pharmaceutical products, green and roasted coffee, Bakery products, meat products. Use Oxygen absorber packs to Inhibits growth of aerobic pathogens like mold, fungus. Eliminates the need for additives such as BHA, BHT, Sulphur Dioxide, Sorbates, Benzoiates, etc. Oxygen deprivation contributes to a pest free environment in museums and art gallery. Oxy Mist absorbers Technology reduces the available oxygen content down to 0.01% Prevents corrosion in metals with the help of oxygen scavengers. Buy Oxy-Mist Oxygen absorbers now to get the best shelf life. We are offering Oxygen Absorbers Pouches to our clients. Oxygen absorbers are used to Prevent Insect Growth in cashew and Increase Shelf life up to 3 times. 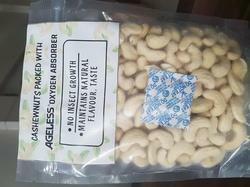 Maintain Freshness of cashew with Oxygen absorbers. Q : What is your minimum order in Oxygen Absorbers and Silica Gel. Ans : Our minimum order quantity is just 500 pieces. 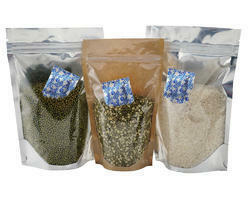 Q : What type of different products can we pack with Oxygen Absorbers and Silica Gel. Q : Can I order mix sizes of Oxygen Absorbers and Silica Gel in different capacity in one order. Ans : Yes we ship orders with mix capacity and sizes. Q : What are the available sizes of Oxygen Absorbers and Silica Gel? Ans : In Oxygen Absorbers we have stock of : 100 cc, 200 cc, 300 cc, 500 cc, 800 cc, 1000 cc, 2000 cc. In silica gel we have stock of : 1 gram, 2 grams, 3 grams, 5 grams, 10 grams, 20 grams. 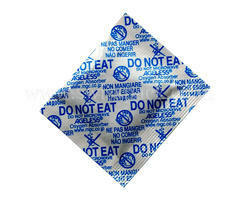 Q : Is your Oxygen absorber and Silica Gel is food grade safe ? Ans : Yes both our products are Food Grade safe. 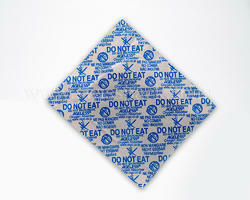 Q : What size of Oxygen Absorbers and Silica Gel should I use with my food? Type of Food ( Dense/ Light) for ex: Flour is denser than Pasta. Please contact us for selecting the right packaging material for your products. Please call our sales for further details. Oxygen absorbers are used to Maintain Freshness and Roasted flavour in your Tea.